Take your campaign efforts to the next level by connecting your Sigstr banners directly to Marketo landing pages. With the URLs automatically tagged with the appropriate parameters, you will be able to measure how many views, form submissions, contacts, and customers won are sourced from Sigstr. 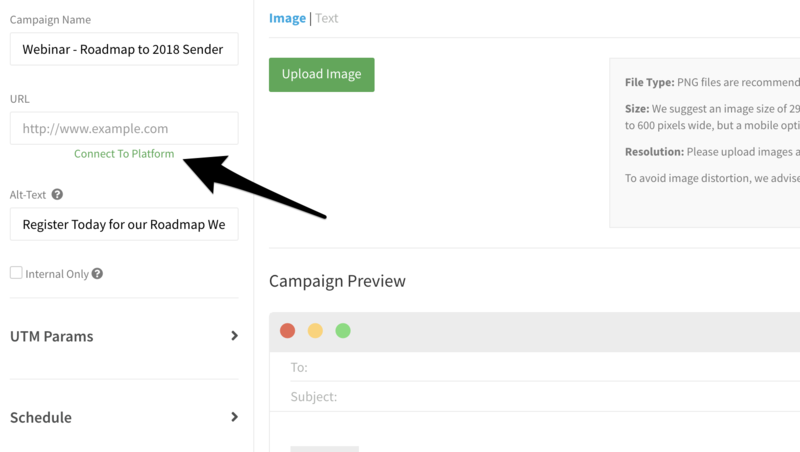 The instructions below detail how to link Sigstr campaigns to Marketo landing pages. Before you do so, make sure to enable the Marketo Integration. Select Marketo and then connect the campaign to a landing page of your choosing. 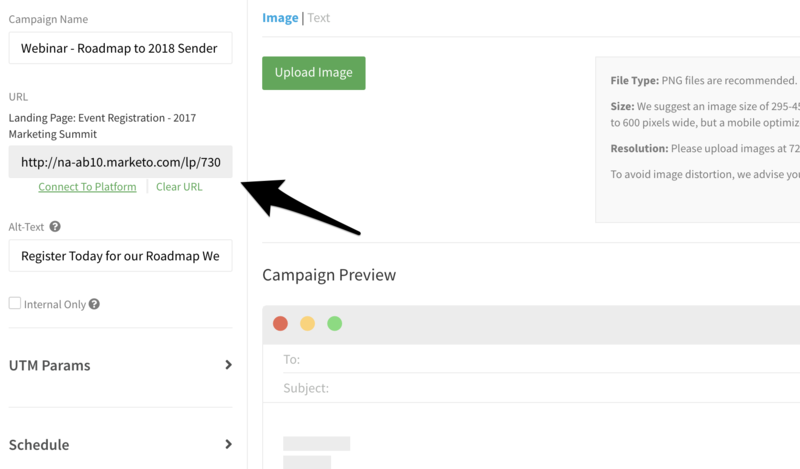 Once you’ve made your selection, the campaign URL field will automatically populate. With this tracking in place, you're able to measure how many views, form submissions, contacts, and customers won are sourced from Sigstr. To make sure this information is syncing to Marketo, follow the directions below. In Marketo, navigate to the Field Management section and select New Custom Field. In the pop-up window, create a UTM parameter field in the form of a custom (string) field. Repeat this process for each UTM parameter (UTM Content, UTM Source, UTM Medium, and UTM Campaign). Once created, add the new fields to any Marketo lead capture form (especially those tied to Sigstr campaigns) and make sure to mark them as hidden fields. In the form 2.0 editor there is an option to set the field value based on URL Parameter. In the Get Value From section, select URL Parameter from the drop down menu. For Parameter Name enter utm_campaign (a parameter used by Sigstr). Repeat this process for each hidden parameter field.